Ingon Bank Farm CL is situated on a working sheep farm set in beautiful open countryside with idyllic views. 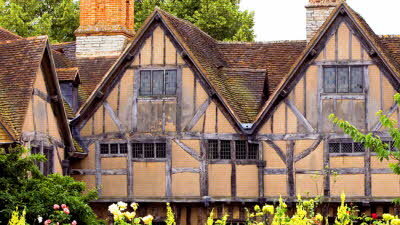 It is positioned just 2 miles from Stratford upon Avon and the Shakespeare properties including Shakespeare's Birthplace, Anne Hathaways Cottage and the Royal Shakespeare Theatre. Charlecote Park National Trust property is 3 miles away and Warwick Castle is 5 miles away. There are many nice walks from the site over the Welcombe Hills and along the banks of the river Avon. Walking to Stratford will take approximately 40 minutes. 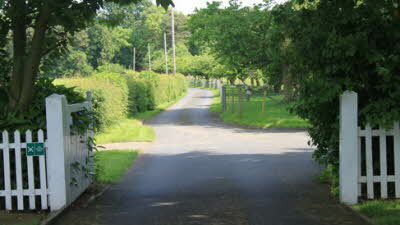 There is a bus stop at the end of the drive, with a regular bus service to Stratford, Warwick and Coventry. 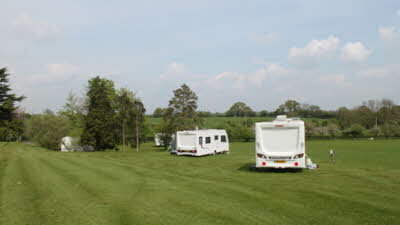 The site is located on a field of 1.5 acres with a mixture of flat and part sloping lawned pitches. Dogs are welcome on site as long as they are kept on a lead. We made a late decision to go away for the weekend as friends from out of the area had already booked in to this CL. So in essence we didn't choose it! 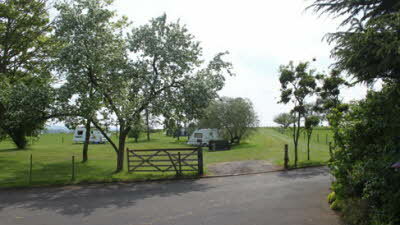 The site is charming and is situated on a working farm. No stock in the CL, but sheep (and a horse) are in the surrounding field but don't intrude at all so no need to worry about nibbled awnings. The CL has flat areas and areas that also slope, blocks to assist in levelling are placed by the EHUs though not all parts of the CL will require their use. Views are good and you are well enough set away from the road to not see and mainly not hear it either. The disposal facilities are excellent. Clean and well laid out. Do take note of the signs next to the road as you approach the entrance, they give you a useful countdown. 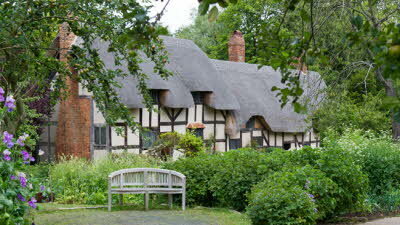 Fabulously situated for Stratford u Avon and all that south Warwickshire has to offer. No hesitation in offering five stars. 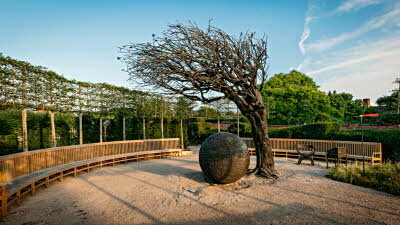 Loved this site, very beautiful, great location! 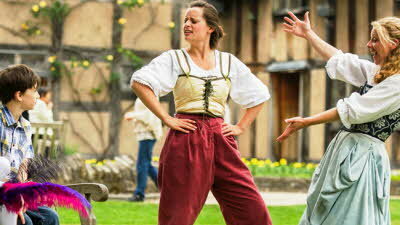 Ah, what a superb weekend had at Ingon Bank Farm! Great little site, just our cup of tea! 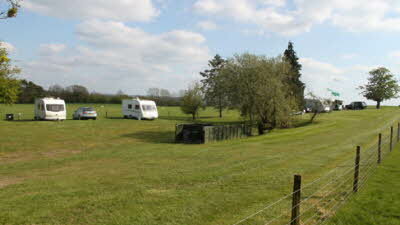 The most lovely countryside views on all sides of our caravan and only a 5 minute drive into Stratford. The site has three pitches lower down under a few small trees which are flat but we were really pleased to find our two pitches at the top of the hill of the site, yes on a slope you will need blocks, where we had a huge amount of space and parked our vans end to end with a huge space in between, the views out of every window were lovely, so nice to not be looking at another van, just fields, sheep and scenery! 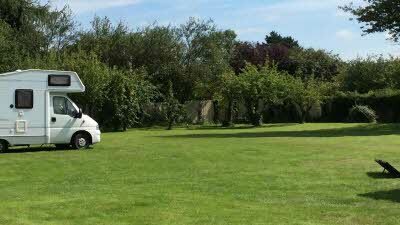 The owner was very helpful and welcoming, we had a T5 van which was struggling to pull the van up the slope to the top of the site, the grass was wet and unfortunately my husband paused when towing and we started slipping and the owner offered to tow us up but we did manage by unhooking and taking it up using the motor mover. 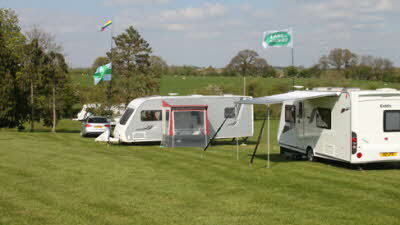 We then plugged in and all the electric went off and the owner and another caravan owner were all helping us to try and find out the problem, which in the end was our fridge. Once we knew this we ran it off gas and all electric was working fine but thank you for your help. 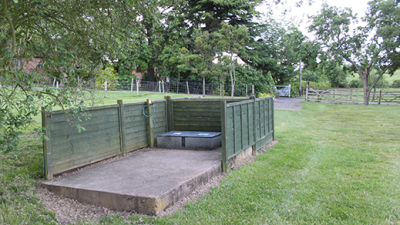 We booked a secure dog field, in advance which was in the next village of Snittersfield, about 5 minutes in the car, so two of our dogs could have a run off lead, XPC Secure Field, which made the site a fab location for us. At other times I walked the dogs on lead round one of the huge empty sheep fields. It was lovely waking up to the sound of sheep every morning, please bear in mind this is a working farm so there will be animal noise. There is distance road noise, so not silent but the busy road is a massive field away so it is distant, so you are aware of it but I am so sensitive to noise and it did not bother me at all, after all you are minutes from Stratford! 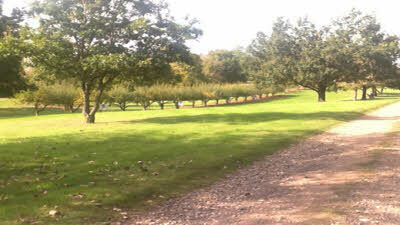 The best time was when we were all sat outside the caravans having a bbq and chatting and suddenly in the orchard behind us a badger appeared in daylight and ran across the orchard and down the driveway, we couldn't believe it. Later that evening when we were leaving our friends caravan to go back to ours as one of my dogs started barking and I went to check that all was okay and there were badger cubs playing (although it did sound like they were murdering each other!) but there they were, amazing! All in all we were blessed with the weather, including the most massive thunder and lightening storm one night and will love to go back again! 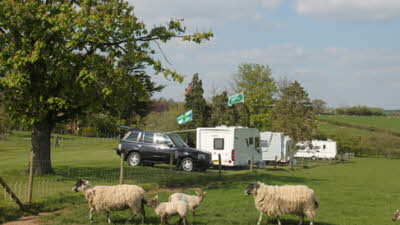 You can't beat the location to Stratford, the pretty well kept site and the sounds of the sheep baa-ing! Thank you, a real gem for us! Lovely spacious site. Received a friendly relaxed welcome and allowed to choose our own pitch. 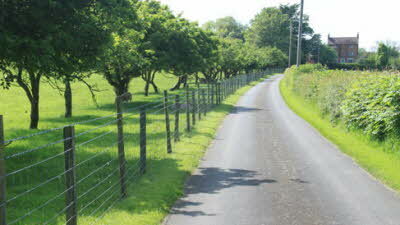 Great to be in the middle of a working farm so clost to Stratford. No facilities except electric made for a very peaceful stay. There is a very small amount of traffic noise from the main road. 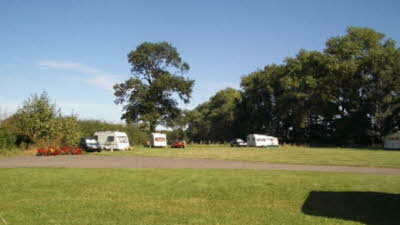 The site is maintained very well and very spacious. We only stayed for one night and didnt get chance to find any walks directly from the site which was a bit of a shame as we have 2 dogs, would like to return to find the walks.